These two releases came out late in 2015 pretty much concurrently on Roach’s own Timeroom Editions label, and although the titles seem similar, the origins of the two are very different. Let’s lead with the live release, since it was presumably the one recorded earlier. 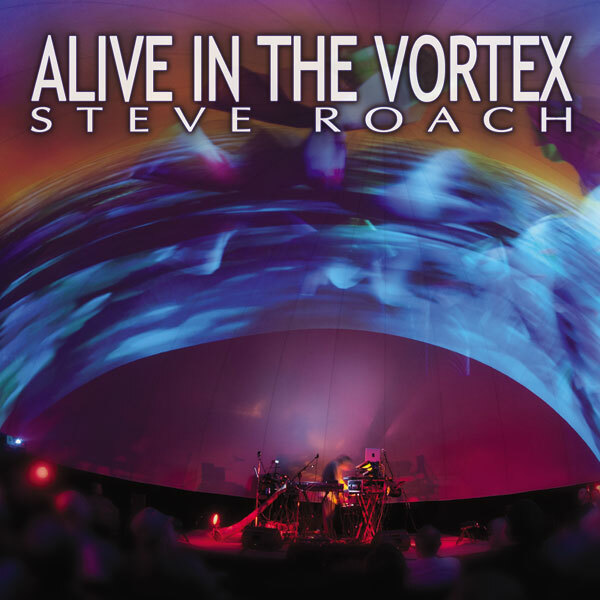 Alive In The Vortex is the complete 9 PM live show recorded October 26th, 2013 at the Vortex Dome in Los Angeles spread across two discs, with no overdubs or studio enhancements. There are eight tracks, but don’t expect to know when they change; the transitions between parts are smooth and unnoticeable, beginning with an open and long swirling ambient continuum, eventually broken after 70 minutes between tracks 4 and 5 where one needs to change discs. Partway through disc one ambient washes give space to some percussives, interesting whistle and string sounds, synth sequences, didgeridoo, and other sonic mysteries, which together maintain the forward motion and keep the proceedings interesting as the piece continues to morph and change; at one point the synth sequences dominate the sound completely with some percussion loops punctuating the background, before the massive ambient soundwalls are again merged back in. Disc two begins with an intense and powerful passage for frame drum loops and digeridoo, slowly folding back in with the furtive synth sounds as it progresses, bristling with energy throughout. By mid-disc we are back to trance-like synth loops amid a full chattering percussive onslaught, slowly fading to the opening of the next portal, offering surprises at every turn. As always, the key to making the most of this is to allow yourself to just float with it wherever it goes, and not think about it too much. The concert was a special event for Roach, who got his start in L.A. in the 1980s before moving out to the deserts on Arizona many years ago, and this marked his first concert there in over seventeen years. There were 360° live dome visuals as well (by Audri Phillips), but even if a DVD were included, it really couldn’t reproduce that experience faithfully, although the 16 page booklet and tri-fold CD packaging offer some glimpses into the visual aspect at the Vortex Dome. 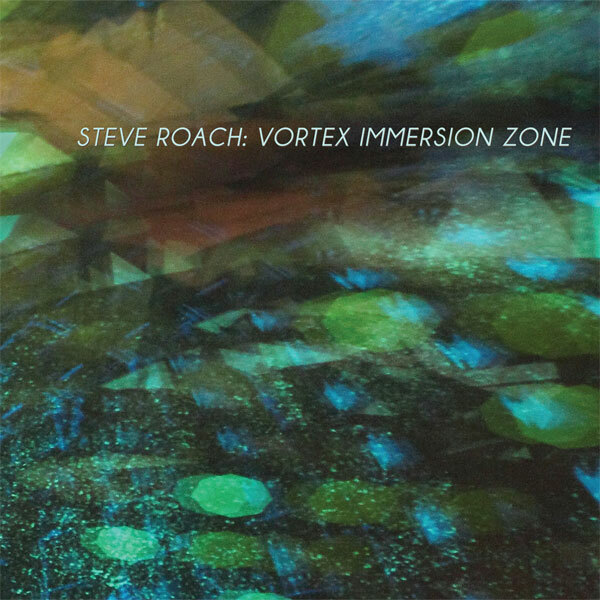 Vortex Immersion Zone is a 73-minute single-disc studio companion, originally inspired by Roach’s plans to perform at Vortex Dome in 2013, but not completed until late 2015; overall it takes a somewhat different trajectory, a more introspective, measured and darker journey through some of the same sonic terrain as the live show, though not without some similar surprises along the way. In many ways, this is more soothing and relaxed in its overall progression, shifting and evolving gently as it goes. One can easily get lost in the organic waves of dark shimmering spacefolds, while letting the soft currents guide your spirit onward and inward. Both of these releases were were mastered by Roach along with Howard Givens at Spotted Peccary Studios. For longtime fans of Roach’s music, both releases are essential, but the live set mas some special magical properties that can only result from interaction with an audience. Mick Karn and Co. play "Bestial Cluster"